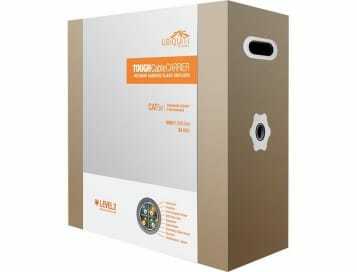 Ubiquiti TOUGHCable - Carrier, industrial-grade shielded ethernet cable. 1000ft (304.8m). The Ubiquiti TOUGHCable CARRIER includes an Anti-Crosstalk Divider all throughout the cable and an extra braided shield for EM protection. Outdoor carrier class shielded ethernet cable: Protect your networks from the most brutal environments with Ubiquiti's industrial-grade shielded ethernet cable, TOUGHCable. Increase Performance: Dramatically improve your ethernet link states, speeds, and overall performance with Ubiquiti TOUGHCables. Extreme Weather-proof: TOUGHCables have been built to perform even in the harshest weather and environments. Eliminate ESD Attacks: Protect your networks from devastating ESD Attacks, TOUGHCables eliminate ESD attacks and ethernet hardware damage. Extended Cable Support: TOUGHCables have been developed to have increased power handling performance for extended cable run lengths. ESD Drain Wire, TOUGHCable cables have an integrated ESD Drain wire to prevent ESD attacks & damage. Multi-Layered Shielding design enables TOUGHCables to withstand harsh weather and heavy use. TOUGHCable CARRIER currently come in 1000ft (304.8m) lengths and 24 AWG. 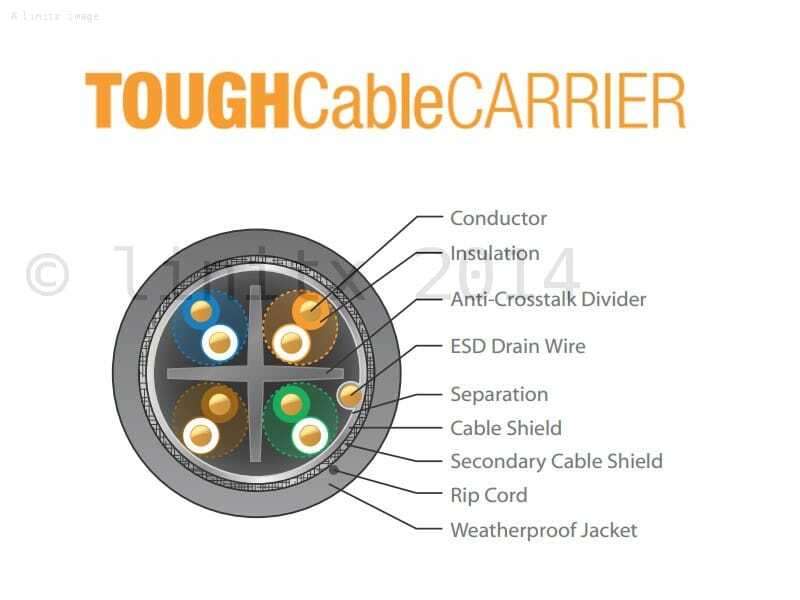 Category 5e Outdoor Carrier Class Shielded Cable. Anti-Crosstalk Divider inside the inner core separates the wire pairs to reduce cross talk. Use ToughCable Connectors, specifically designed for use with Ubiquiti ToughCable (sold separately).